With fragrance-filled sprays, scented candles, diffuser sticks, and other air-freshening products, the scent lasts just a few minutes and doesn't always mask what you were hoping to cover up. When it comes to the bathroom, scented toilet paper might sound like a terrible (and silly) idea, but it's best at eliminating stinky smells over a long period of time. 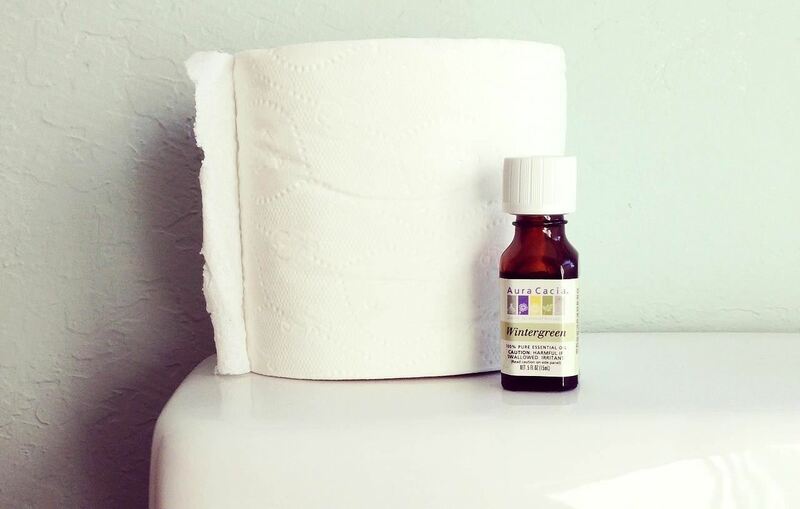 According to Stuff Parents Need, adding scented essential oils to the cardboard tube hiding inside each toilet paper roll is the key to getting rid of lingering bathroom odors. Whether you need to refresh a stuffy bathroom, or get rid of those stinky scents after a lengthy toilet stay, those few drops get the job done. Essential oils made from herbs and flowers have been used for centuries to "cleanse" and purify environments, and they are usually pleasant in their fragrance. 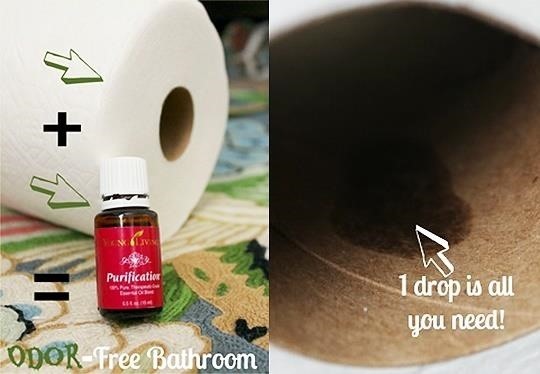 The site suggests choosing your own scented essential oil, and using just one drop for each roll of toilet paper. Add the drop when you replace the roll, and forget about it until you're ready to swap in a new one. PopSugar tested this odor-removing method, and found that it's truly worth the effort. In their trial run, they chose the fresh scent of wintergreen and dropped a few dabs onto the inner tube. The site reports that, after regular toilet paper use for 24 hours, the bathroom still smelled fresh and the scent didn't fade, continuing down to the final few sheets on the roll. However, PopSugar did discover that essential oils can't cure every stinky bathroom. If yours is home to particularly strong smells, such as a cat litter box or dank, dirty laundry, you might want to stick with using heavy-duty spray whenever needed. Just keep in mind that if you like to reuse the leftover cardboard tubes from toilet paper rolls, essential oils may not make them the best hamster toys or cord holders, though they'll still probably work for vacuuming in tight spots. But now that you have some essential oils, there are lots of other things you can use it for: eliminate breakout bouts, create your own cleaning solution, have a spa-like steam facial, and more.